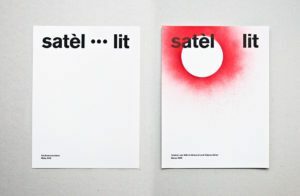 The students’ works, Fractal and Satel·lit, respectively, were chosen among works from the promotion 2011/2012 onward, and now participate for a main award of 3 thousand euros, or for three special prizes (Prize to the Communicative Innovation, Prime to the technological usage, and the Special Prize to Commitment Enric Huguet) of 1.600 euros. Crosas Colomé’s work, Fractal, adopts simplicity and geometry as neuralgic concepts for a new type of dance annotation, which is focused on a diversified iconography, of shapes and colors, to designate movements of different parts of the body. Proposed as an universalized system for dance annotation, Crosas’ typologies speak of the need to produce a choreographic transcription that manages to overcome the diversity of the current procedures and the lack of general knowledge in choreology. Carles Martín’s Satel·lit, meanwhile, is born from a questioning of the concept of normality, which allows the author to center on dyslexia, Down’s Syndrome, autism and hyperactivity. The project, a collection of publications, presents different covers that, visually, embody the keys of said functional diversities. The jury, constituted by professionals of the industry such as Dra. Elena Bartomeu Magaña, Dr. Joan Costa, Antoni Sellés, Enric Galve, Dra. Carmina Crusafont, and more, will deliberate between other 22 projects, and will announce the winners in an act on the Instituto de Estudios Catalanes, during a date yet to be determined.